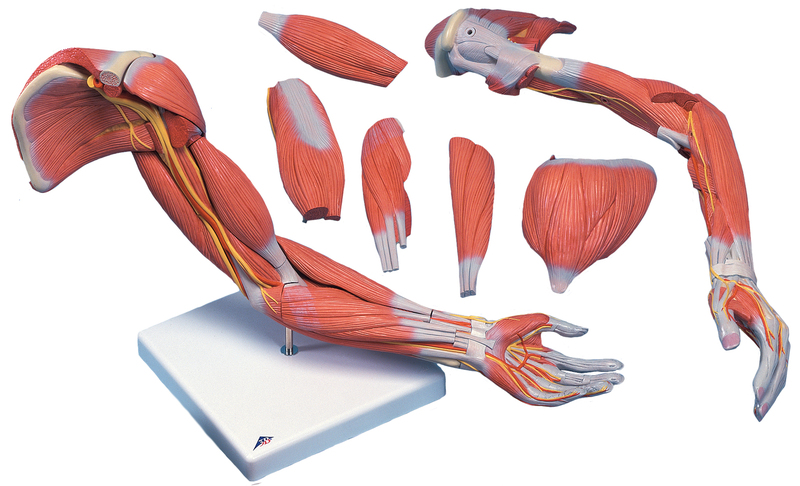 This model illustrates both the superficial and deeper muscles, five of which are removable. Tendons, vessels, nerves and bone components of the left arm are shown in great detail. Parts are numbered. Comes with stand. 60x18x18cm. 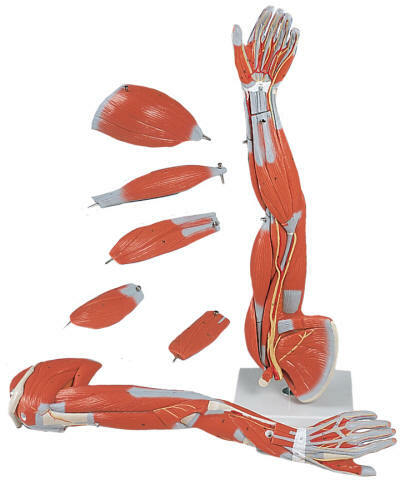 This life-size anatomical model replicates the muscles of the arm. The following muscles can be detached: deltoid muscle, biceps muscle of arm, triceps muscle of arm, long palmar muscle with radial flexor muscle of wrist and brachioradial muscle with radial extensor muscle of wrist. Supplied on base. 41x48x48cm.